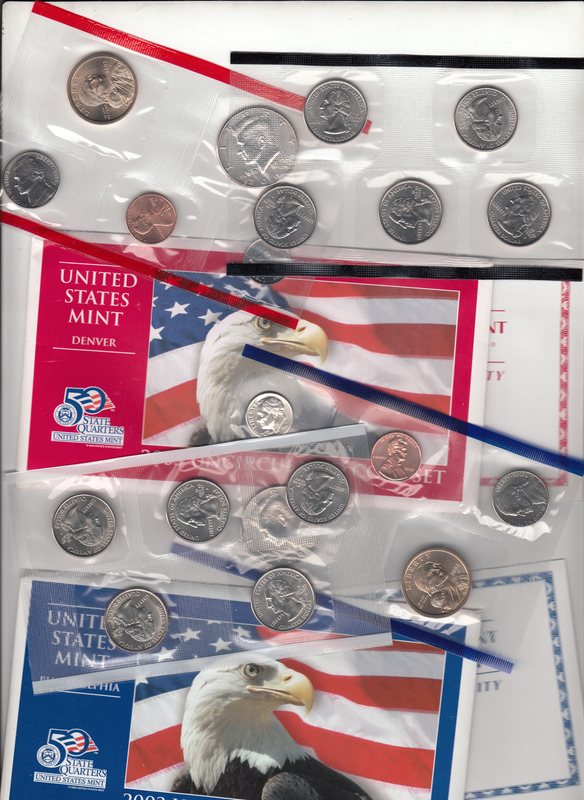 USA 20-Coin Denver & Philadelphia Uncirculated Set (U.S. Mint, 2003) Buyer. This set consists of 20 coins. 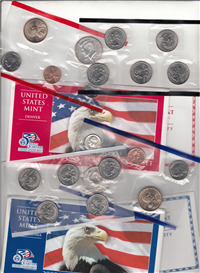 The set's face value is $5.82 and includes a Sacajawea dollar, Kennedy half, dime, nickel, penny and 5 state quarters from each Mint. Complete with original envelopes and COAs.